If you pass by irrigation ditches in your travels around the lower Rio Grande Valley, you’re probably familiar with seeing a wash of white dotting the slopes that taper to the road. 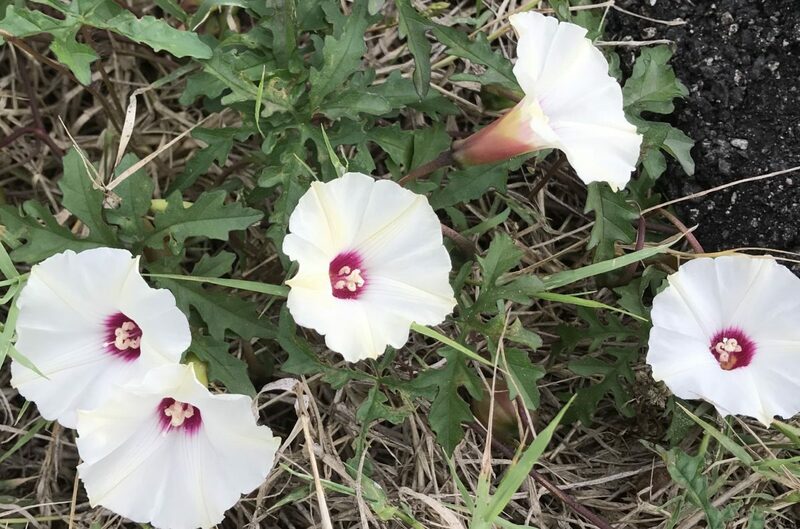 Chances are you’re seeing Alamo vine flowers. 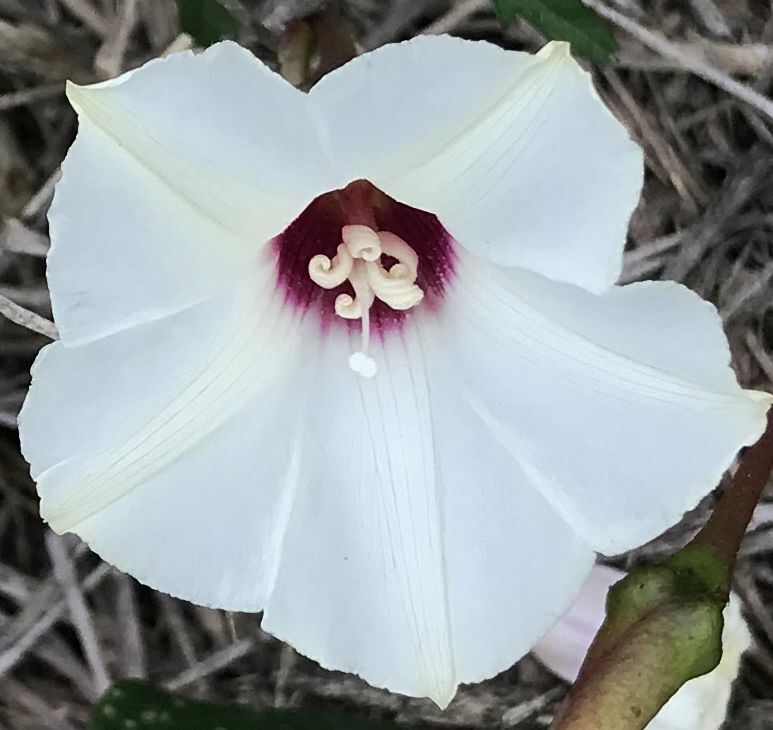 Alamo vine (Merremia dissecta) is often seen in disturbed inland areas as well as at the coast and the coastal islands. Up close, the leaves are dark green, palmated, like miniature Midwest oak tree leaves, with deeply toothed margins. Reportedly, the foliage, and other plant parts, give off the essence of an almond scent. Alamo vine is a member of the morning glory family — although not an early riser like most of its cousins. Alamo vine flowers open in the heat of the day and close before sunset and bloom in the spring, summer and fall. The flowers are creamy white and funnel shaped with centers the color of bright raspberry. The petals are grown together; the pollen-producing anthers artfully twisted like a Chihuly blown glass design. Alamo vine is a fast-growing, twining perennial vine easily grown from fresh seed. It re-grows each year from a taproot and spreads by rhizomes. It also readily re-seeds. It is a profuse bloomer and can be left to amble at will, hugging the earth. Bees are attracted to its pollen; butterflies use the flowers for nectar. This Texas native is drought-tolerant and suitable for xeriscaping, rock gardens, and cactus or succulent gardens. It tolerates poor soil and alkaline soil, and likes full sun to partial shade. In nature, it is found on stream banks, shell deposits, thickets and other disturbed areas and in sandy, loamy, clay, caliche, shelly and well-drained calcareous soils. Whatever the soil, it must have good drainage. Alamo vine’s thigmotropic behavior makes it ideal for trellis or chain-link fence design where pruning can help direct and control growth. The fruit is rose-bud shaped and coppery brown with a rosy sheen. 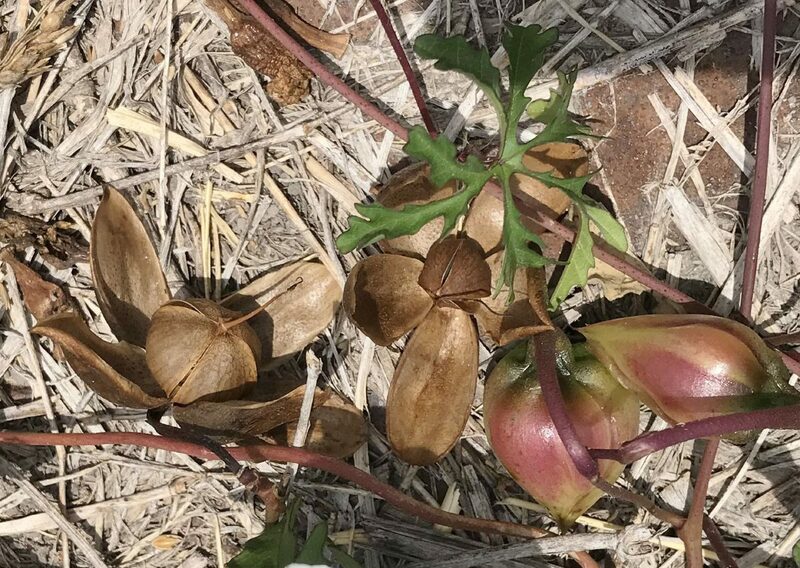 The dry fruit resembles a wooden flower, which explains one of its common monikers: woodrose, and is often used in floral arrangements. 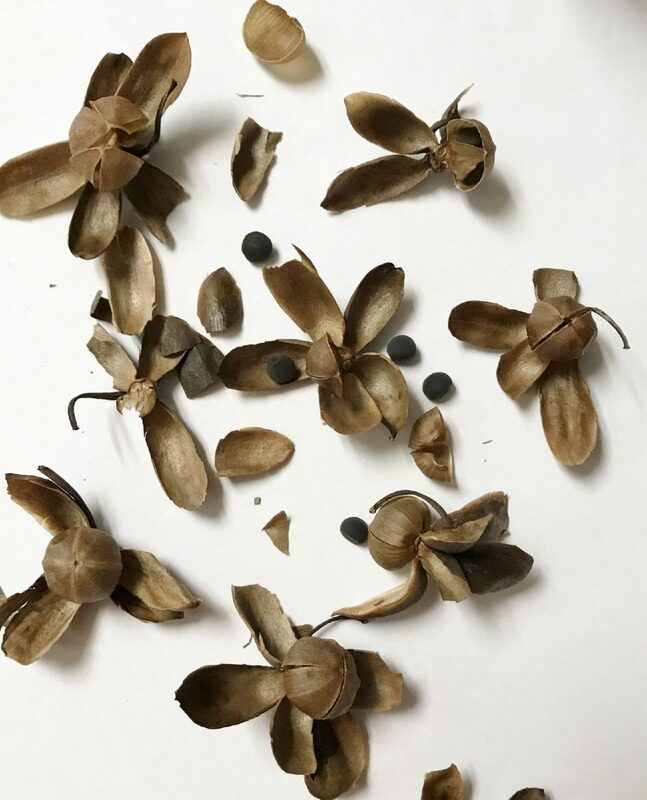 The dried capsule splits open easily, spilling its four black (poisonous) seeds. Anita Westervelt is a member of the Rio Grande Valley Chapter, Texas Master Naturalist. Westervelt provides monthly articles to The Monitor.